Property held by St. Nathy’s Diocesan Trust. Sligo County Council has given a school body permission to pull down down a historic building. The structure, which is not included in the Sligo Records of Protected Structures, was erected 138 years ago, in 1879. The Board of Management of Curry National School said they want to demolish the former parochial house and outbuildings to make way for a car park. The buildings and site, it’s understood, are held by the St. Nathy’s Diocesan Trust, Ballaghaderreen, Co. Roscommon, a registered limited company. Farmer, John Gallagher who objected to the proposal said the area had already witnessed the demolishment of at least six other buildings of heritage character in the last 20 years. 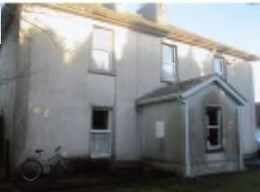 In his submission, he said the principal part of the old parochial house, at Drumbaun, Tubbercurry, is in “a good state of repair.” This had been ensured by the personal investment successive occupants, as parish priests, made towards the upkeep of the dwelling and outhouses. Clergy had been using the residence until relatively recently. Mr. Gallagher said the access to the property featured two gate piers of dressed limestone with capping. There is also a distinctive ornamental outer gate pier, the only remaining one of its kind in the area. Calling on the Council to preserve the building, he said there was sufficient land available to resite a parking and set down area for a nearby school without need to encroach on the former parochial property. The lands were held by the St. Nathy’s Diocesan Trust and could be used to address the required safety and other needs of the school. In a letter to the Sligo Champion, another South Sligo resident has also raised strong concerns about the removal of the historic residence. The decision is expected to be appealed to the planning board, An Bord Pleanala. 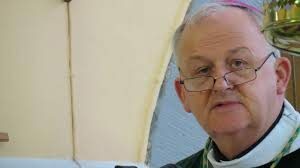 The directors of the St. Nathy’s Diocesan Trust named in an annual return filed with the Company Registration Office in January 2016 are: Brendan Kelly, Clergyman, St. Nathy’s, Ballaghaderreen, Co. Roscommon and Padraig Costello, Catholic Curate, Secretary, Kilmovee, Ballaghaderreen, Co. Mayo. The others are Michael Joyce, Catholic Curate, Parish House, Curry, Co. Sligo, Marian G. Hannan, Catholic Curate, Parish House, Ballysadare, Co. Sligo, and Thomas Johnston, Catholic Curate, Charlestown, Co. Mayo. The company number is 74426.